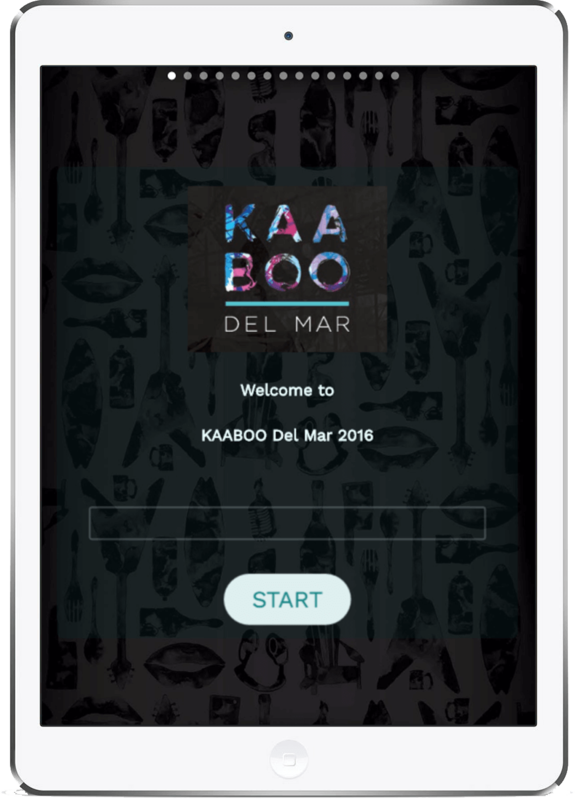 Leah Taylor, Director of Guest Services, and her team behind “mix-perience” festival KAABOO Del Mar 2016 used Survey Anyplace to collect feedback from festivalgoers. The result? 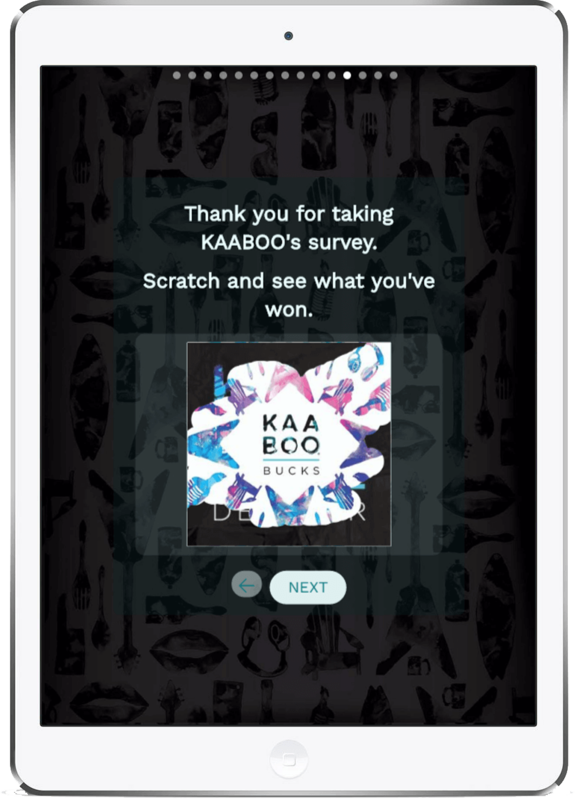 A survey with a custom-feel that lives and breathes the KAABOO festival brand. A 69% completion rate and 1700 highly valuable responses. Festivalgoers could give an overall rating, select their favorite area and give specific feedback in exchange for KAABOO festival goodies. 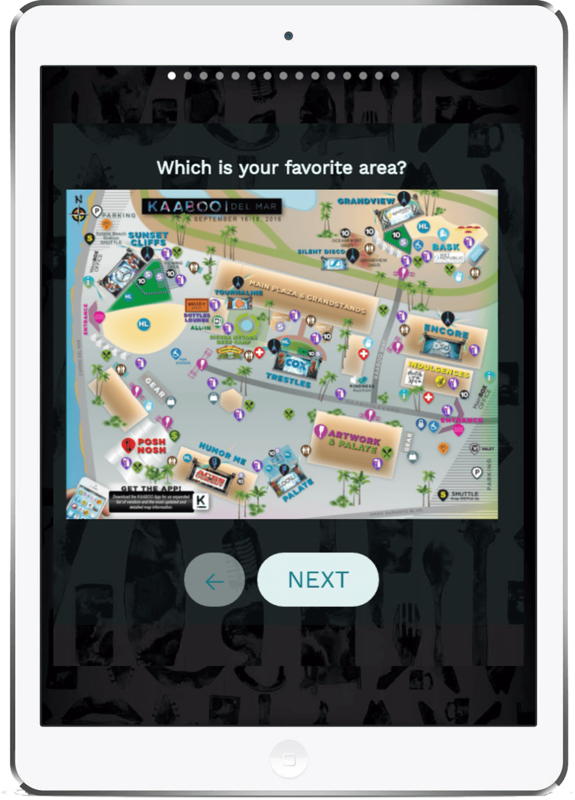 "One of the things I really wanted to do for KAABOO is corner information that you wouldn’t typically get from a regular marketing survey. I wanted to find out what the attendees thought of the diverse culinary elements, the art installation, the spa, and of course the music. One exciting element was a swimming pool built on site that included a high-end lounge area with cabanas around it facing a stage which provided a unique experience. 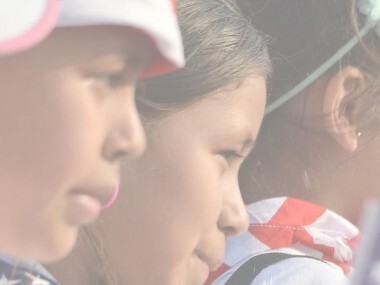 It’s a very different festival than any other we have in the United States and our goal is to provide a VIP experience for all attendees by including different types of things that provides something for everyone. To capture our attendees experience, we wanted identify what our guests were drawn to ensure we continue to execute a stellar program as well as provide adjustments where needed. We knew we couldn’t use a bland and boring survey to do that but something interactive and FUN. The first step was to find a partner to assist with this task so we began looking for someone to do this for us. I went online to begin to research who does something like this and found Survey Anyplace. One of the things I appreciated was the quick response and guidance. It helped being steered in the right direction on the number of questions, what was realistic and how previous cases had worked best before. Just the whole process was wonderful and something that I would prefer any time." How did you execute that idea? "We knew we wanted something that was very much what we call… “a bourbon taste on a beer budget”. 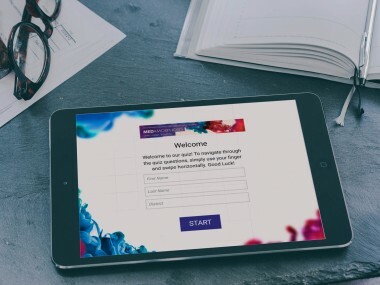 We wanted something to feel very very custom, but we knew we didn’t have the budget to have a true custom made survey. But the result was great! It actually does look custom made, we had great success with it. And this was very important to us." What happened during the KAABOO festival? "We had this team called “The Happiness Gurus”, who were at the festival to answer questions and walk around the festival. They carried the survey around on iPads and encouraged festivalgoers to take it. Some were stationed in a booth for a certain guest service like “Information”, and so whenever people would stop and ask “Hey what time is Flo Rida going on stage?” or “Where is the closest bathroom?” or whatever it was, they’d use that opportunity and get people do the survey." "We were looking for 100% participation, a 100% of respondents finishing the survey. We learned that it definitely helps to have that digital scratch off at the end. And to give away prizes that people actually want! We actually kind of adjusted some of our prize features once we got there on site. We were able to get a hold of some more merchandise, which people liked the best." "We wanted 2500 impressions and ended up with around 1700. We didn’t see this as a failure, instead, it gives me a good benchmark of how to organize staffing for next time so I can get more participation. It was a big learning experience! So we’re hoping for more festivals with Survey Anyplace in the future. I also think I would like to use the survey for something like a consumer activation as well. I’ve got a new kind of cookie that I’d like to try out, there’s three new flavors and we’re trying to decide which flavor. I think even using the tool for something like that would be a lot of fun because, it would just feel different. Even internally for some of our clients that aren’t festival-based, I feel the tool is something that could very easily go into a more corporate environment." 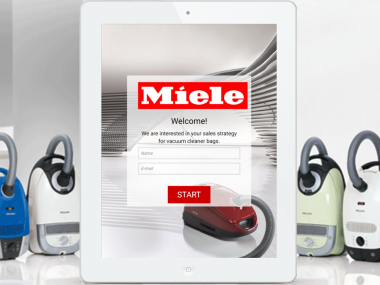 "I would say that it was extremely user friendly, the survey. It was very easy to learn for those that were going to be the “subject matter experts”. It felt professional yet fun and it felt very current. It didn’t feel dated in the way it was built and in the architecture. It felt very custom. No, it WAS very custom. And the digital scratch off is just really cool!"